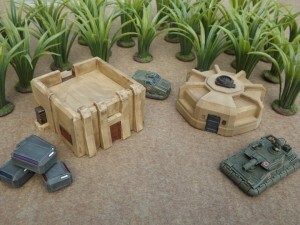 Brigade Models has some new desert buildings available over in their webshop. Since we released them a few months back, the Munitions Bunker and Primitive Dwelling have been some of our most popular 6mm buildings. So it’s only natural that we’d want to upscale them to 15mm, and here they are.